1985 - CT393. Limited edition. To celebrate the 150th Anniversary of the Great Western Railway. 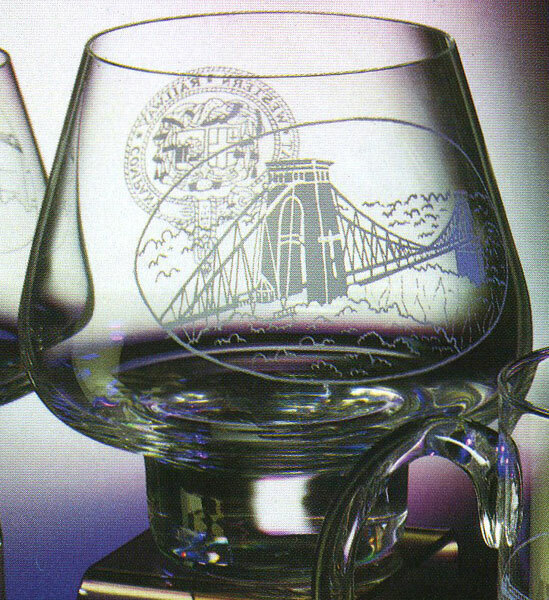 The full range for the centenary can be seen on Scotland's Glass here . Featuring the Clifton Suspension Bridge with the G.W.R. Seal, Belt and Buckle on reverse side.